Congress lopsidedly approved a border security compromise Thursday that would avert a second painful government shutdown, but a new confrontation was ignited — this time over President Donald Trump's plan to bypass lawmakers and declare a national emergency to siphon billions from other federal coffers for his wall on the Mexican boundary. 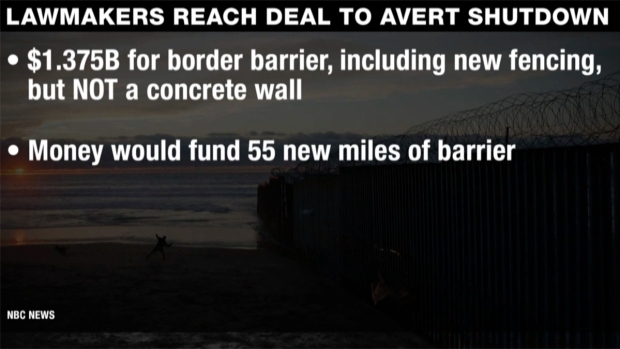 Money in the bill for border barriers, about $1.4 billion, is far below the $5.7 billion Trump insisted he needed and would finance just a quarter of the 200-plus miles he wanted. The White House said he'd sign the legislation but act unilaterally to get more, prompting condemnations from Democrats and threats of lawsuits from states and others who might lose federal money or said Trump was abusing his authority. 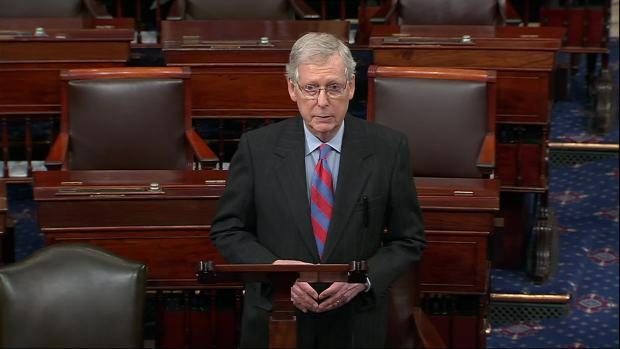 The Senate passed the legislation 83-16, with both parties solidly aboard. The House followed with a 300-128 tally, with Trump's signature planned Friday. Trump will speak Friday morning in the Rose Garden about border security, the White House said. House Democrats overwhelmingly backed the legislation, with only 19 — most of whom were Hispanic — opposed. Just over half of Republicans voted "no." Should Trump change his mind, both chambers' margins were above the two-thirds majorities needed to override presidential vetoes. Lawmakers, however, sometimes rally behind presidents of the same party in such battles. "Congress will defend our constitutional authorities," they said. They declined to say whether that meant lawsuits or votes on resolutions to prevent Trump from unilaterally shifting money to wall-building, with aides saying they'd wait to see what he does. Democratic state attorneys general said they'd consider legal action to block Trump. Puerto Rico Gov. Ricardo Rossello told the president on Twitter "we'll see you in court" if he makes the declaration. "Let's all pray that the president will have wisdom to sign the bill so the government doesn't shut down," Sen. Charles Grassley, R-Iowa, said Thursday's Senate session opened. Democrats say there is no border crisis and Trump would be using a declaration simply to sidestep Congress. Some Republicans warn that future Democratic presidents could use his precedent to force spending on their own priorities, like gun control. GOP critics included Maine Sen. Susan Collins, who said emergency declarations are for "major natural disasters or catastrophic events" and said its use would be of "dubious constitutionality." Congressional aides say there is $21 billion for military construction that Trump could use if he declares a national emergency. By law, the money must be used to support U.S. armed forces, they say.The Defense Department declined to provide details on available money. The effort to negotiate border security and avoid another government shutdown hit a snag over the weekend. The White House says we could see a shutdown Friday and President Trump may still declare a national emergency to pay for the border wall.